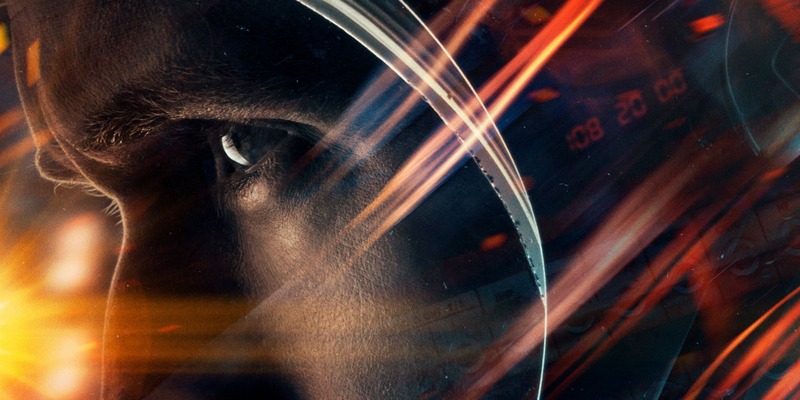 First Man opened on October 12 to widespread critical acclaim and excitement. First Man not only manages to tell a well-known story with new emotional depth but also uses a cinematography style that sets itself apart from the tropes established by other classic space movies. Directed by Damien Chazelle, whose previous work includes Whiplash and La La Land, this movie’s success is clearly no fluke. Chazelle’s vision combined with Ryan Gosling’s stand out talent as a leading man and some fantastic supporting performances by Claire Foy, Jason Clarke, and Cory Stoll make for one hell of a ride. First, let’s talk about the directing and cinematography because I don’t know if I can hold myself back anymore. There are a lot of close-ups in this movie which partially serves emphasize the emotionality of the characters interactions. As characters talk to each other, the majority of their conversations seem to jump back and forth between a close up of each person’s face. By doing this the audience sees all the little details and subtle expressions the actors in this film are capable of. 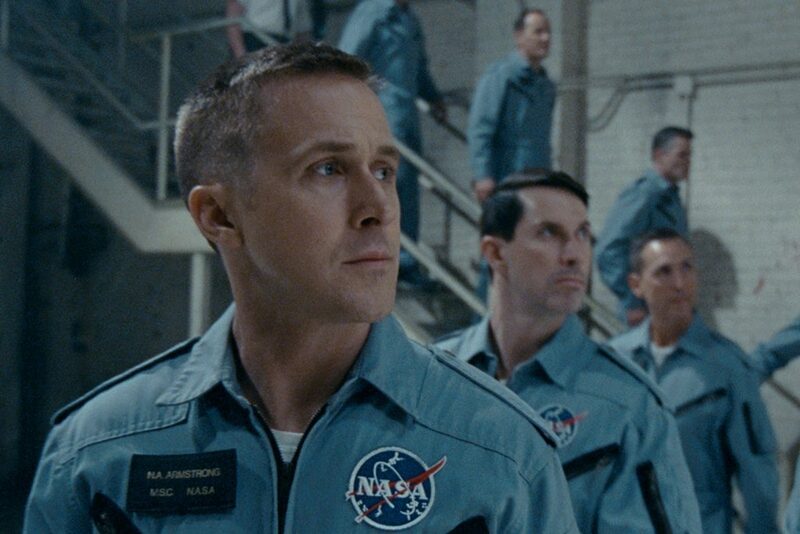 Ryan Gosling, in particular, portrays a compartmentalized version of Neil Armstrong and seeing his face in such detail gives a remarkable window into the emotions rioting under his surface. Even Closer . . . This intensity also carries over to when the astronauts are inside their craft. Shots aren’t lingering around outside the capsule often, instead, they’re focused within the cockpit. This puts viewers in the mindset of the characters because you mostly see what they see. You see how disorienting being strapped into a rocket can really feel, and end up getting a whole new level of appreciation for the men on this journey. These point of view and close up shots not only create an overall intense atmosphere but also builds tension in a visual way most other space films don’t. Another added benefit to shooting the film this way is that the moments with sweeping wide shots of space and the moon become further emphasized. To go from tight and mood setting close-ups to a grand alien landscape feels like a breath of fresh air. It gives the viewer a sense of discovery that may have been hard to cultivate otherwise. At this point, most people have seen pictures of the moon’s surface, but by building to it in a new way the movie is able to make it seem totally new and beautiful. 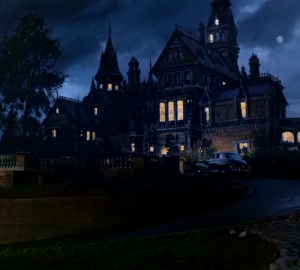 The fact that the majority of these landscape shots take place on the moon is also thematically relevant. Without spoiling anything, there is a great moment of emotional payoff for Armstrong on the moon that makes the new breathing room on screen seem like a reflection of him finally moving on. Cinematography aside, the cast chosen for this movie is doing a truly exceptional job. As mentioned earlier Gosling himself is portraying Lance Armstrong, someone the movie shows to be an insular man who is not forthcoming with his emotions or feelings. There is a great moment in the film where Janet Armstrong, played by Claire Foy, has to push him into a situation where he must be vulnerable. This follows a series of other events where the audience sees Armstrong repress negative emotions to prevent having to actually talk about them. Both Gosling and Foy do an excellent job of portraying a marriage that is multifaceted and real. Their relationship isn’t defined by a single failing or conflict. Instead, we also see why it is they work well as a couple, and how they seem to fit together when things are going well. Even Foy’s portrayals of moments of anger are rooted in her fear of losing her husband and frustration at her helplessness. There is no real malevolence, rather she is someone desperate to keep her family together. All of this comes across in Foy’s performance spectacularly as she becomes a great foil for Gosling on screen. 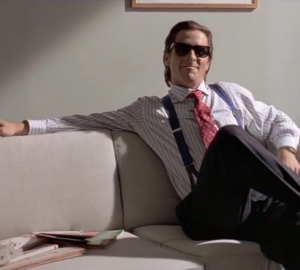 You also can’t forget the equally impressive supporting talent in this film. Cory Stoll makes a real impression as Buzz Aldrin by portraying him as a man who doesn’t censor himself as much as he could, but is ultimately a talented astronaut and can easily handle the press. Lukas Hass doesn’t get as much screentime but uses what he has to make himself memorable. But perhaps one of the more standout supporting characters was Jason Clarke as Ed White. For those of you who know your history, Ed White was an astronaut who tragically didn’t survive his space mission. Clarke does a good job of showing just how close Armstrong and White were, so we understand how wrecked Gosling is after his passing. Being able to make an impression in a subtle but effective way is certainly admirable and Clarke did a great job of this. Now let’s talk about the score! From a director like Damien Chazelle whose last 2 films were music heavy, you have high expectations for the score going in. While the score in this film certainly is from the same DNA as the music for La La Land, it stands separately as something all it’s own. 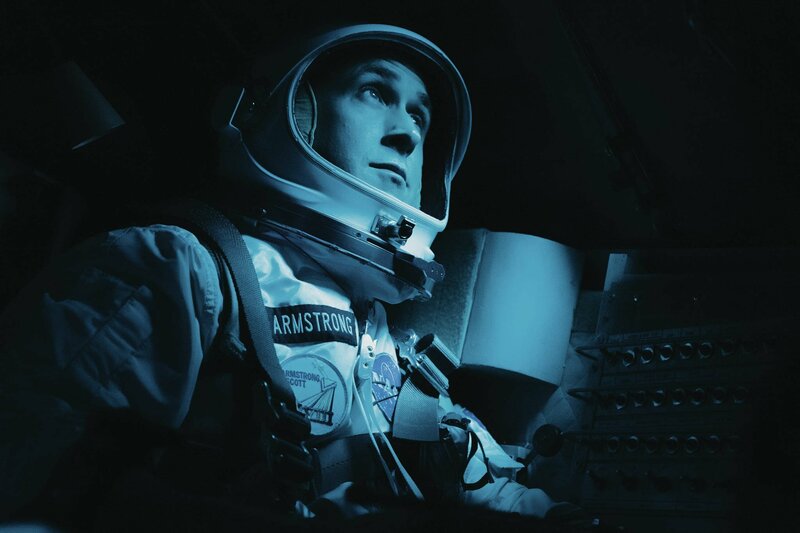 The music of First Man is a little more subtle, only swelling and becoming noticeable during a particularly emotion-laden moment. This makes it seem more precious, like some rare piece that peeks up for moments at a time. Those of you going in and expecting La La Land will likely be disappointed because the score isn’t as obviously ingrained into the identity of the film. However, just because it’s different doesn’t necessarily mean it’s bad. I for one really appreciate the fact that Chazelle seems to be capable of delivering multiple film experiences with the same underlying sensibility. Ultimately, I really enjoy this score and think my appreciation for it will likely grow as continue to watch this film (I’m totally going back for seconds). There has been some controversy about this film and in my opinion, it’s unfounded. From what I’ve read this tension is rooted in the fact that there wasn’t a scene showcasing the planting of an American flag on the moon. This has caused some uproar over the so-called “un-Americanness” of the film before it was even released. Personally, I think criticizing a movie before you’ve even seen it is a little much and seems a bit like trying to make a mountain out of a molehill. But, since the “Americanness” seems to be a point of contention, perhaps I may shed some light on the situation as someone who has actually seen the movie. While there isn’t a scene with Armstrong planting the flag, there are shots of him and Aldrin on the moon where the flag is clearly visible. Even if that wasn’t the case the events of this movie take place in America and features Americans. 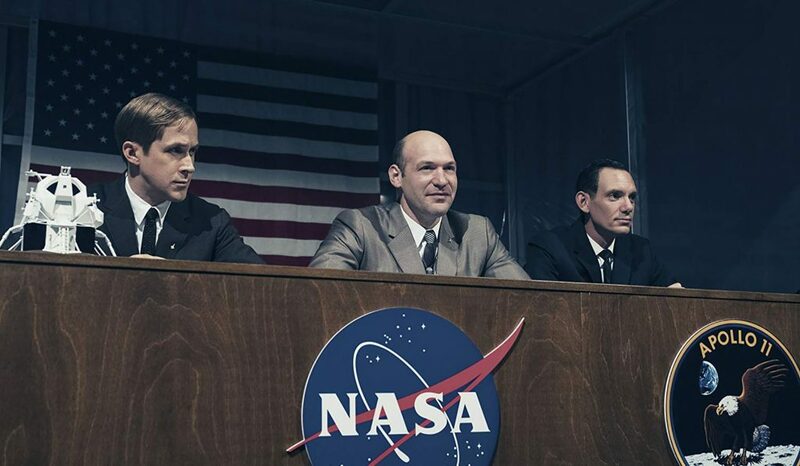 Additionally, NASA, an American institution, is the main setting for the movie. The sense of competition prevalent during the space race is a driving force of a lot of the plot, and as such the astronauts in the film express their own pride as US citizens. If that’s not enough, there’s even a scene where Armstrong goes to the white house. The movie doesn’t throw America in our face every second of its runtime, but it also is not lost on the viewer that this was an exploration conducted by the United States. This movie is by no means “un-American” so if that’s what’s been holding you back from seeing it, I encourage you to check it out and give it a chance to knock your socks off. Overall this movie is a definite recommend, especially for anyone who loves the historic or space genres. I truly enjoyed myself and came away with greater appreciation for the courage and bravery the real-life astronauts on the Apollo missions must have possessed. The threat of something going horribly wrong is ever present in this movie, and despite the risks being repeatedly shoved in his face, Armstrong (and his crew) don’t even seem to hesitate in volunteering for something that had never before been done. The tension and experiential nature of this film are really well done and I found myself heavily invested despite already knowing what would happen. 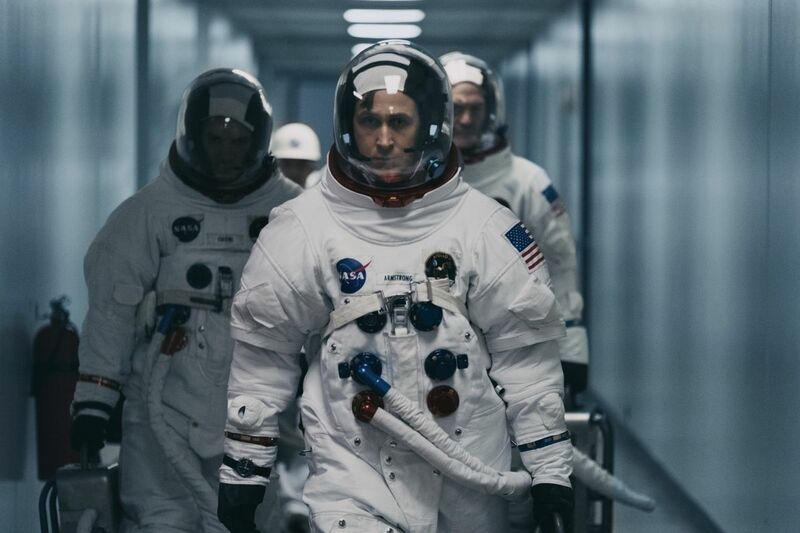 What did you think of First Man? Let us know in the comments below or on social media!